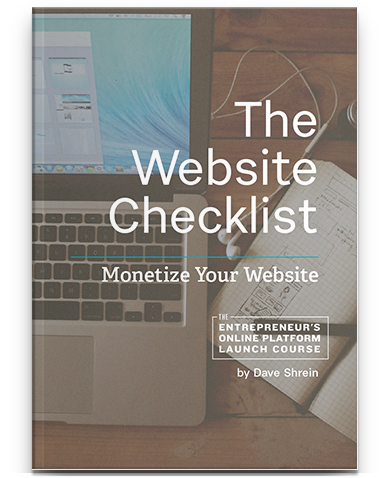 If you have not yet purchased hosting for your website, this will be pretty dang helpful for you. First, there are two different types of hosting… Domain hosting and web hosting. Domain hosting is securing your .com or other domain. Web hosting is securing storage space on a server to host all your web files and point your domain to. GoDaddy is pretty much the standard place for hosting domains and I recommend them strictly for the fact that they offer you all the domain hosting options you will ever need (though you may not know you need a certain feature now). Web hosting is a commodity. There are thousands of options. Some are good, some are rotten. If you see someone recommending Blue Host (affiliate link | non-affiliate link) it is because they have the best affiliate deal out there and they are the most decent large scale service provider. If you have one website and won’t be sending lots of web traffic to your site – Blue Host is just fine. In the fall of 2015 I began testing a different host and after several months of great service and support I have switched to Wire Nine hosting (affiliate link | non-affiliate link). The primary difference Wire Nine offers over Blue Host is two fold. First, they use solid state drives and solid state drives are fast. I moved one client from Blue Host to Wire Nine’s solid state drive hosting and we immediately noticed a boost in speed… A dramatic boost. The second benefit is the support. Smaller hosting companies are either amazing at support or rotten. Wire Nine is amazing. Their team is courteous and friendly – and on top of that fast and helpful. A couple things you will want to think about when it comes to purchasing hosting. One is how many websites will I want? Nearly all hosts will allow you unlimited websites but there are some plans that will limit you to one. Just make sure that if you want more than one website, your plan supports it. Another is what rate are you paying for year one and what rate will you be paying every year after. Like many cable, phone and Internet companies out there, hosting companies make your first year look very attractive. After year one they increase their rates – it’s not typically astronomical increase but it can be noticeable. While you may have several specific questions about your situation will need their own answers, bottom line is that choosing a hosting provider isn’t difficult if you have basic understanding of what you should look for. At this point you may have several questions and I’d love to answer those for you. You can tweet me here with any questions and if I can confidently answer them I will! If I can’t I will get you in touch with someone who can. Let’s get you unstuck and get that website launched so you can begin getting your message out there to the world that needs to hear it!